Seagly Eaglehorn a seagull is playing happily in the sea. Suddenly, she is caught .. What will happen to her? Will she never fly again? An action packed adventure, where birds are the heroes. 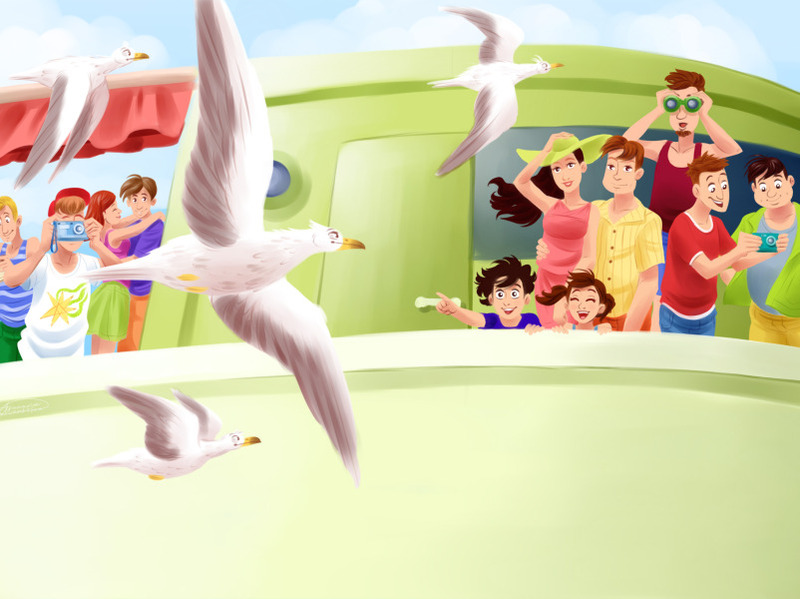 It familiarizes children with the sea and the seagulls. A unique ecological adventure illustrated in colorful pictures, showing that animals, people and nature need to be harmoniously bound together.